Thanet Festival Choir welcomes people of all levels of experience to come and enjoy singing. Some of our members are beginners, others have many years’ experience of singing in choirs, but we all love singing and do our best to support each other. 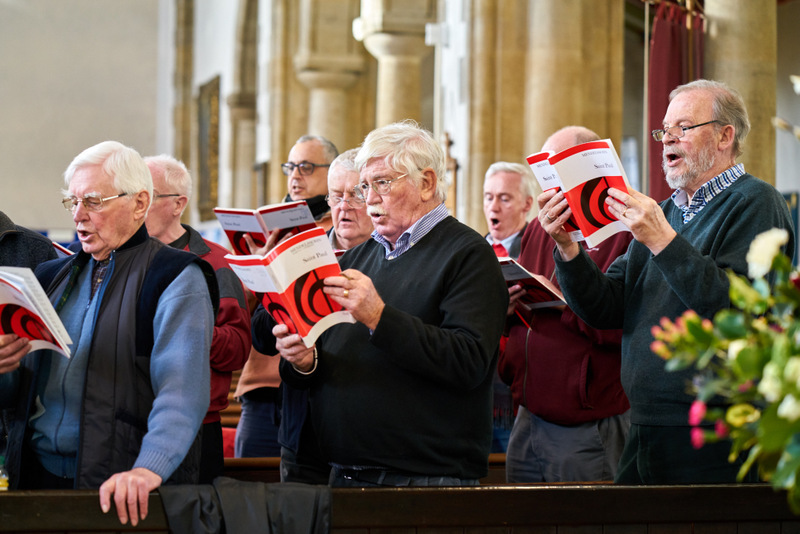 The choir regularly sings in four or more parts, and most of the works we undertake require the ability to follow and stick to the part you’re meant to sing whilst other parts may be doing different things. Some musical experience is a helpful and very welcome attribute, but not a requirement. Have you sung in a choir at school, or in Church, and are looking to get back in to it? 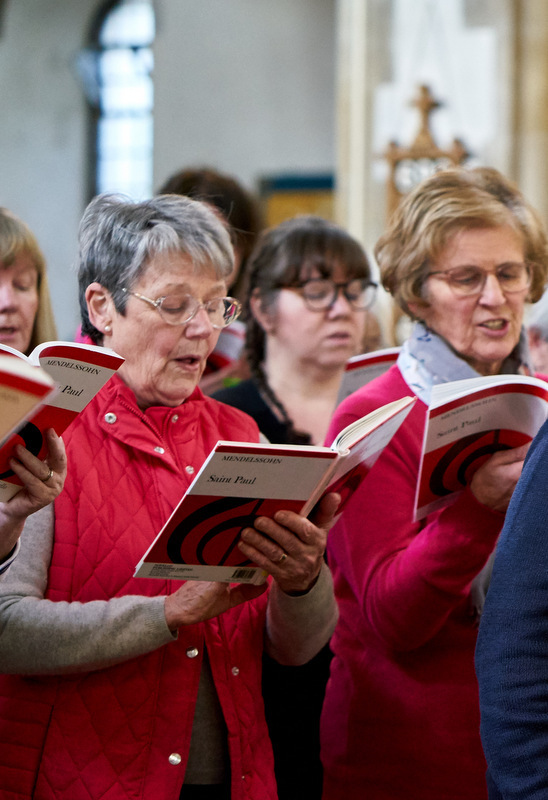 Maybe you have never sung in a choir before but always wanted to ‘give it a go’. Perhaps you’ve just moved to Thanet and want to meet new friends through your love of music and singing. Whatever your history, you can be sure of a warm welcome. As a traditional mixed choir we sing in harmony, which means that each section (Soprano, Alto, Tenor and Bass) sings different notes at the same time. We use vocal scores and do not usually sing from memory. We tend to stick to mainstream classical choral works, although we do occasionally sing lighter music such as songs from the musical theatre repertoire. We rehearse each week during term time on a Wednesday evening, at Holy Trinity Church, Cliftonville CT9 3TN, from 7.45-9.45pm, and perform at least four concerts each year. If you aren’t confident about reading music (or even if you don’t read music at all) then voice-part recordings are usually available so that you can rehearse and learn at home. How you learn is entirely up to you. Our members are all friendly and supportive and will do all that they can to help. Although there is no formal audition for the choir, the Music Director (Clifford) will need to hear you sing a few notes, testing your range, and also to undertake a few simple aural tests (pitching notes, or clapping a musical pulse, or even being asked if the words crescendo or diminuendo are ones with which you are familiar). Prospective new members are invited to attend two rehearsals before being ‘heard’ by Clifford – you can either ‘sit in’ or sing, affording you the opportunity to meet and chat to current members, and vice versa, so that you get a feel for what we do and whether or not TFC is the choir for you before making any commitment. There is a small charge for hiring music, although if you wish to purchase your own copy that can be arranged. You’ll need to bring a soft pencil every week as you will be asked to mark relevant instructions in your score at rehearsals. When it comes to performances, ladies wear a long-sleeved black blouse or top with a full length black skirt or smart black trousers (or a long-sleeved long black dress) and black shoes, and gentlemen wear a dinner suit (DJ), white shirt, black bow tie and black shoes. Aside from the concert ‘glad rags’, you will need to purchase a choir branded folder which the choir will supply (currently £7.00 – subsidised price). The annual subscription is currently £88 (2018/2019) and is due in September; some members pay in two instalments. There is no reduction in the subscription for members who are unable to take part in a session, but membership is free to students in full-time education and in cases of hardship a reduced subscription, or alternative arrangements for paying, may be negotiated through the Treasurer. 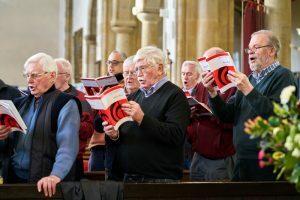 The choir is renowned for its warm welcome and the social scene includes quiz nights, social evenings and the occasional trip to perform abroad. We look forward to seeing you soon.